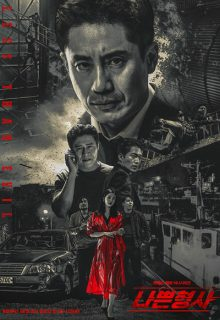 Korean Drama “Bad Detective” revolves around a veteran detective Woo Tae Seok (Shin Ha Gyun) who focuses solely on solving cases. One day he comes across with a psychopathic woman Eun Sun Jae(Lee Seol), but cannot arrest her due to lack of evidence. Later the woman becomes his assistant and helps him in solving other cases. A remake of the British TV series “Luther”.